Are you looking for information on new, up-and-coming Biotechnology Calendar, Inc. shows in 2013? The new year is quickly approaching, and Biotechnology Calendar, Inc. is starting it off right! California's first show of the new year will be taking place on February 6th at the University of California, San Francisco's Mission Bay campus. At our event last year, we attracted 246 life science professionals interested in exploring the latest laboratory products. Our San Francisco Biotechnology Vendor Showcase™ Event attendees included 33 lab managers and 59 purchasing agents, professors and post docs. This premier event appealed to a diverse field of researchers from 26 UCSF university buildings and 52 university departments. Byers Hall: Byers Hall is home to the world-renowned Quantitative Biomedical Research program, or QB3. QB3 is an established partnership between UCSF, UC Berkeley and UC Santa Cruz designed to bring together the quantitative tools of physical science. With Byers Hall's diverse makeup, it's no surprise that many new PhDs and biotech companies get their start here. Genentech Hall: Genentech Hall consists of programs in chemical, structural, cellular, molecular and developmental biology. Not only does Genentech house these programs, it also houses the Nikon Imaging Center, the Center for Advanced Technology and the Molecular Design Institute. Rock Hall: Rock Hall focuses on developmental biology, developmental neuroscience and human genetics, and it hosts the Center for Brain Development. Diller Family Cancer Research Building: The Diller Family Cancer Research Building is home to scientists who are researching cancer's biological structure to find solutions to medical problems like brain tumors. Researchers at this facility study computational biology, pediatric oncology, urologic oncology and cancer population sciences. Smith Cardiovascular Research Building: This research building houses scientists who are working to understand heart and cardiovascular diseases. 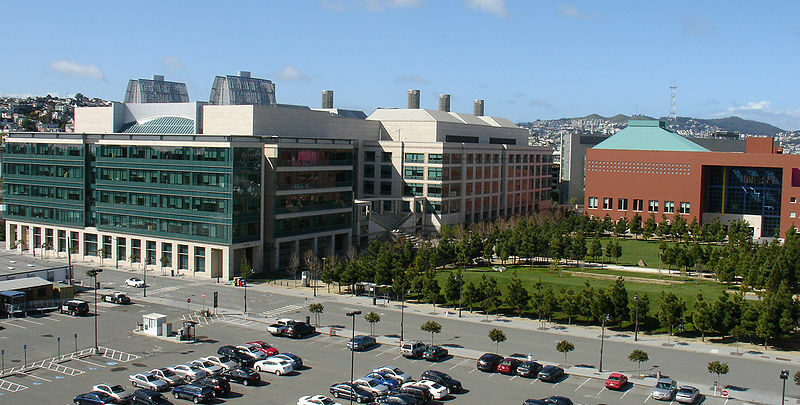 The famous Cardiovascular Research Institute and the Center for Prevention of Heart and Vascular Disease are located in the Smith Cardiovascular Research Building. The University of California, San Francisco Biotechnology Vendor Showcase™ Event is just one of the top industry shows that Biotechnology Calendar, Inc. hosts annually. If you would like to find out more information on Biotechnology Calendar, Inc.'s other upcoming events, see our 2013 show schedule. See our free Science Market Update information resource to find recent news on UCSF research, funding and facilities.